Wanting to check out a "few" new apps? 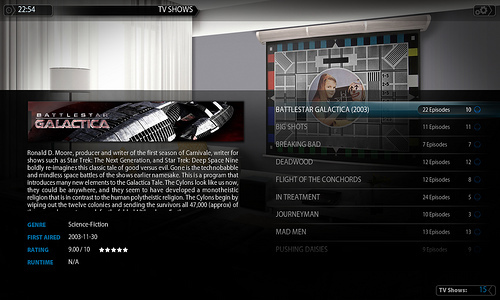 Thanks in part to the Boxee dev challenge, Boxee has a boatload of new apps to show off. The list has some really ingenious ones and some incredibly bizarre ones, but you can't argue that there aren't enough apps these days can you? Boxee's dev is open for voting so if you're a Boxee user and want to vote for your favorite app do so before the polls close on June 22nd at 11:59pm PT. 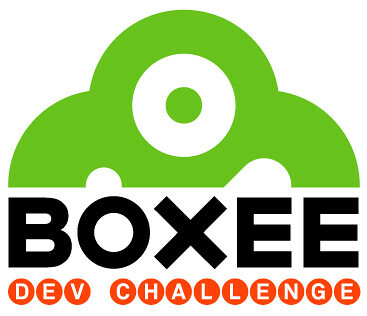 Winners will be announced at the Boxee event in San Francisco on June 23rd . 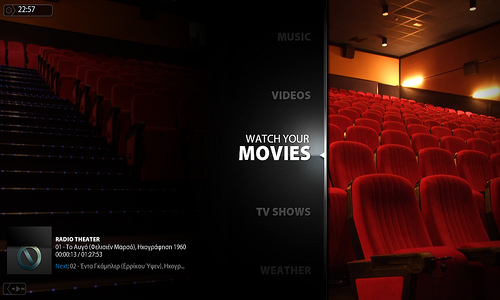 AnyClip - View short clips from your favorite movies and TV shows. Currently in private alpha so currently only members of AnyClip can use this. National Film Board of Canada - Access movies produced by NFB. 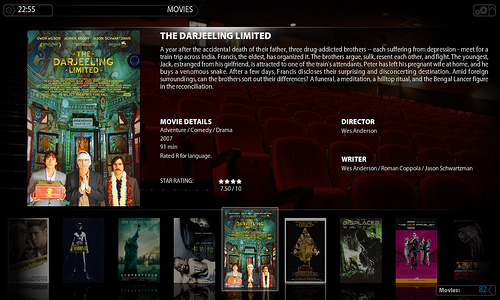 Play full length movies, search and play trailers. WhatUWant - Like Pandora for video. Type in keywords for what you want to watch and it starts playing an endless stream of YouTube clips that match your query. 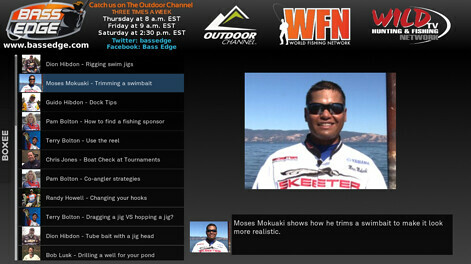 PokerStarsTV - View webcasts, video blogs and TV shows from PokerStars events. 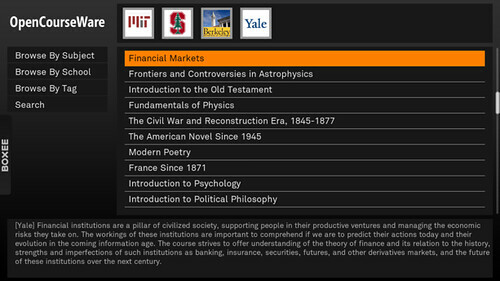 Moovee Times - This app leverages the data on Yahoo! Movies to allow you to enter a zip code and get a list of nearby movie theaters, look up showtimes, read synopsis's and watch trailers and clips. WellcomeMat - An app that accesses WellcomMat, a locally focused video service that lets people share videos about their local towns including real-estate, city tours, news and more. 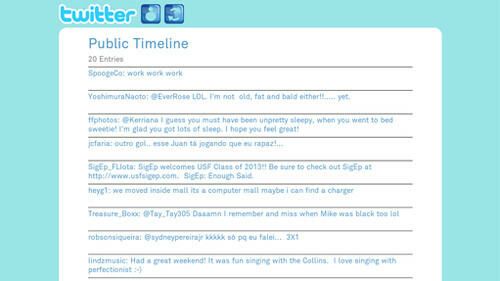 Allows search, tag-based navigation, chapter navigation and built-in Twitter integration. Google Videos - Search Google Videos (sort by quality, duration, view cout etc. 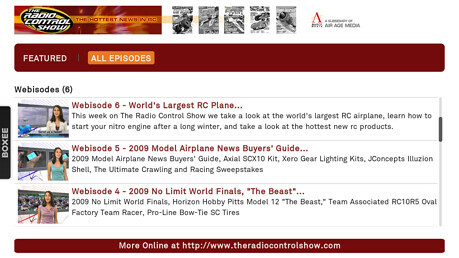 The Radio Control Show - Overviews the hottest news in RC via a collection of video podcasts. ABC7 News - ABC7 News is the local ABC station in San Francisco/Bay Area and this app brings more video news content to Boxee. 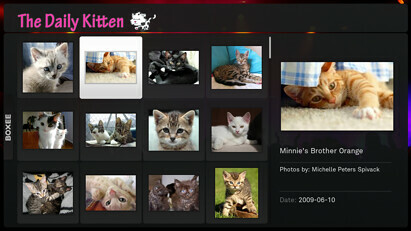 Newsbox(ee) - Newsboxee is a video app that takes the full benefit of the power of internet and social networks. 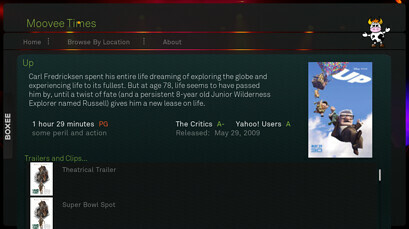 This first version crawls the trending topics from twitter, meshes the tweets with YouTube and presents a unique list of videos that keep the viewer up to date with the very latest, hot news - all from boxee. BBC Live - BBC Live brings BBC to people outside of the UK. 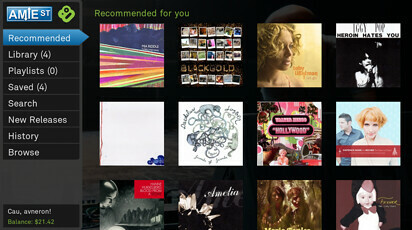 Dechobox - a boxee app that lets you access the music and photos that are stored in the cloud. so if you use Mozy to backup your photo and music collection they are now available for you wherever you boxee (access to videos will be offered in a future version of the DechoBox app). Very cool! eTVnet.ca - Access to thousands of Russian TV programs. I Can Has Cheezburger - Also known as LOLcats, I Can Has Ceezburger is a photo blog for fun. OpenCourseWare - Video lectures and complete courses from MIT, Stanford University, UC Berkeley and Yale. 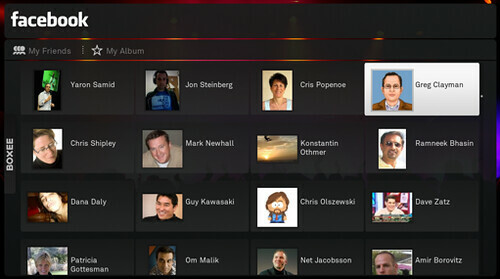 L8R - del.icio.us and boxee mashup. 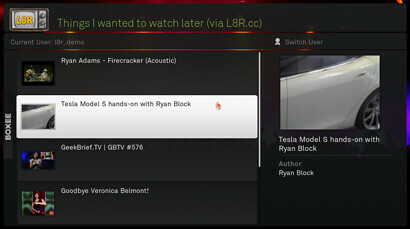 Tag video bookmarks on del.icou.us with the tag L8R and you can watch them on boxee or on the web at l8r.cc. C dans l'air - (It’s in the Air) is a daily french show hosted by Yves Calvi. it is aired in France on Channel 5 and is not available in the US… Sacha Arnoud wanted to watch the show on his TV, so he built a boxee app that makes it happen. 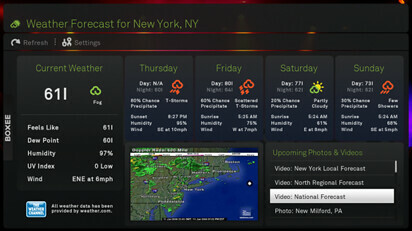 Weather Channel - A nice weather app for Boxee using the Weather Channel. HotForWords - The study of words with a "hot" chick. Hmm. 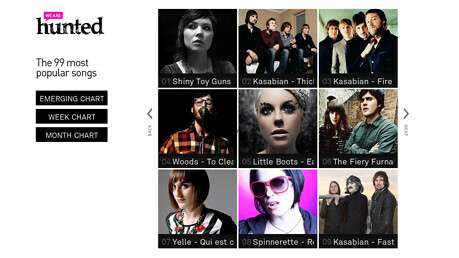 songza - an easy way to find a song, play it and share it using songza. It’s time again (past time actually) for the GeekTonic Media Gadget Showcase Series. 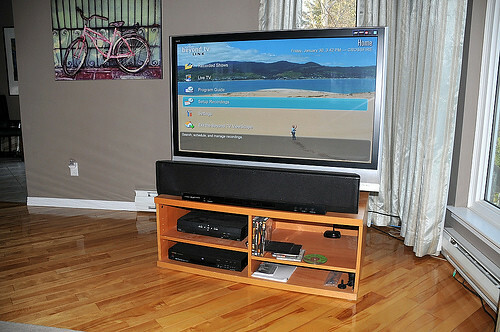 Today we have the eighth submission, one from a long-time BeyondTV user who is sharing his Home Theater and HTPC setup. 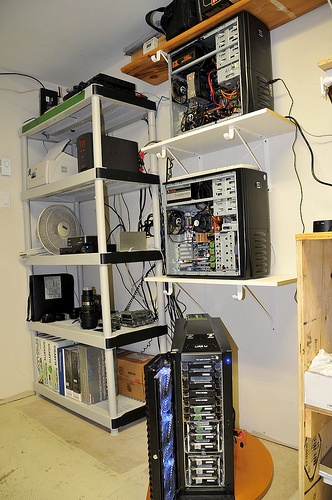 I met Jamie, a GeekTonic reader & and HTPC enthusiast on the Snapstream forums. I was intrigued by some of his posts on the Snapstream Forums so I asked him to submit a writeup. It’s a good one that I think you’ll all enjoy. 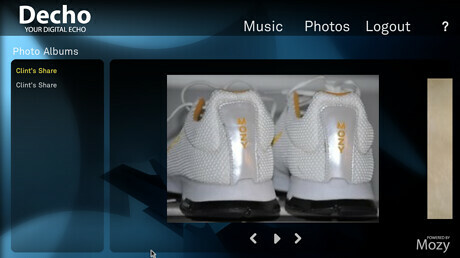 Read on for his great write-up with photos to share all about his powerful HTPC setup powered by BeyondTV and XBMC. 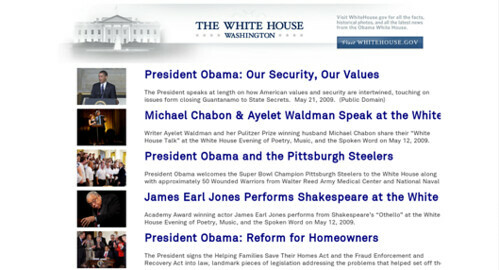 NOTE: This is a guest post by Jamie. To read more about how to submit your photos and/or write-ups for the GeekTonic Media Gadget Showcase Series, read this. 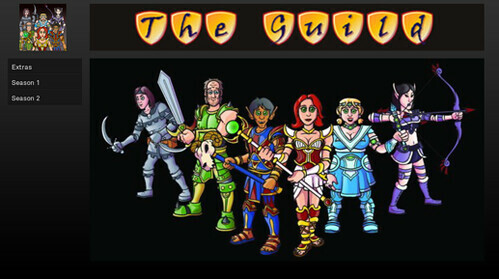 Basic guidelines for writing and submitting a guest post at GeekTonic can be found here. I started getting into the HTPC in 2005 and slowly worked things up to where they are today. 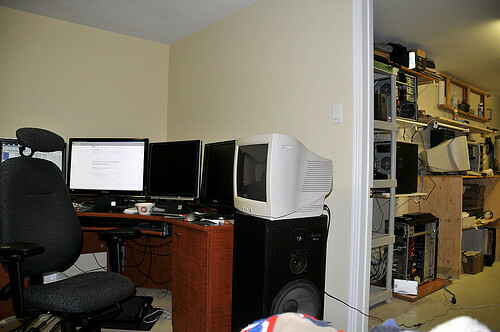 One SD Computer, One HD recording computer, one gaming rig...and the BTV (BeyondTV) Link unit that ties the SD/HD and XBMC together is the BTV Link system in the Living Room. 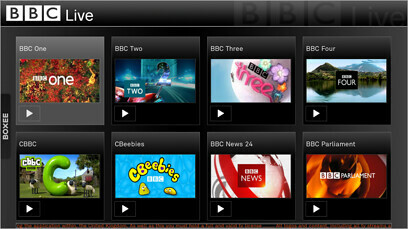 After a few tweaks (over the years) I am extremely happy with BTV and the HTPC in general (always tweaking though). My wife and I use it 100% (as in no reboot, keyboard or a mouse to fix a problem). Most ..if not all problems happened due to me tweaking while she was watching something =). I knew ..in order to be able to use such a system...it had to be 100% stable, and my wife would have to know what to do for the odd things that could happen (when and if they did, over the yrs she has stuck with it). 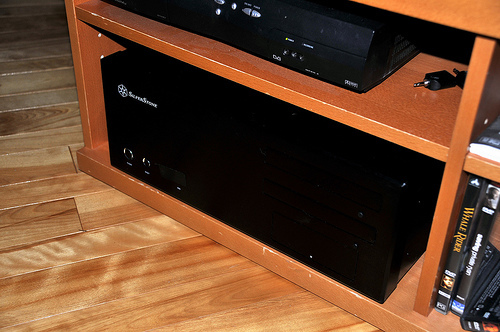 This system evolved over time from a AMD 1400 with one tuner card back in 2005. It does everything I want now, host an ftp site, personal web server, email, downloads, COD 4 server, MIRC, printer and storage of things - I would really not want to ever lose. 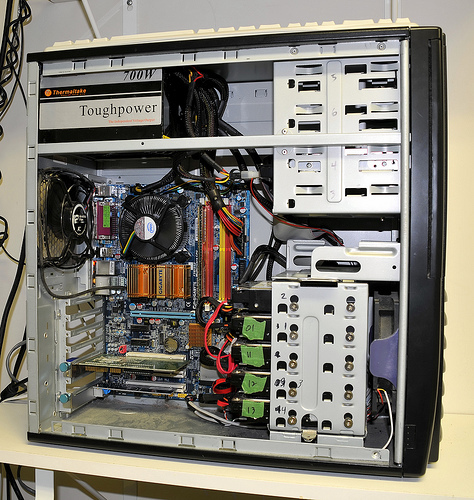 I feel that the Q6600 will be the last cpu upgrade for this system. However I may swap out smaller HD's for 2TB hard drives eventually (when pricing is lower). There are a lot of Hard Drives in this computer...I have them all in Raid 10 configuration (yes the cheap raid controller option, works good enough for me). 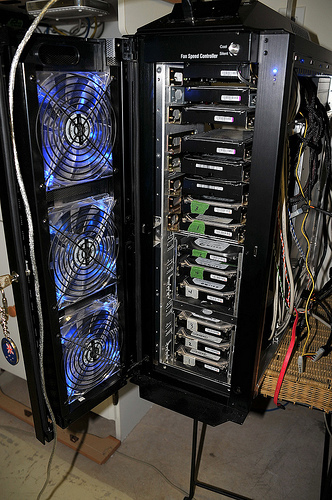 All raid 10 except 2 1Tb WD Blacks in Raid 1, and the OS and USB external are all alone. I should say that in all the computers I have...I have fans blowing over the fans. Heat kills. 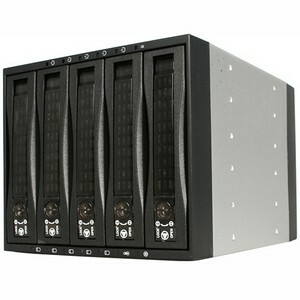 Eventually I would like to get a few of these - StarTech 3x5.25 to 5 Bay 3.5IN Raid HD Enclosure . Squeeze in a couple more HD's overall and make it look tidy. The MSI has been rock solid for me (my first choice is ASUS or Giga-Byte). 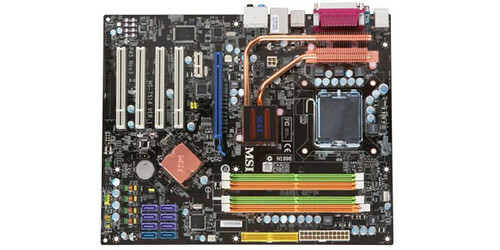 I looked and looked for 4 PCI slot MB's but...they seem to be getting harder to find (I may buy another MSI NEO3-FR as a backup). Why did I need 4...2 HighPoint Raid cards and 2 Tuner cards. After finally getting this computer up and running...power flickered on and off in the area that week. After this event I ran out and got a APC UPS Back-up 1300VA Battery Backup. I couldn't imagine the thought of trying to figure out what parts could be damaged in a power outage, or when it comes back on. The unit in general draws aprox 270Watts during normal use and about 300-320Watts during compression of shows...but on a cold boot it pulls in about 450-500Watts, that it is why it has a 850Watt PS. 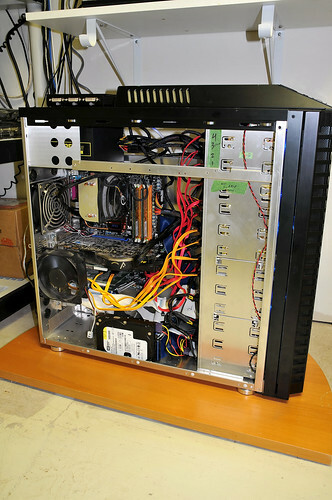 The HD computer is also plugged into the UPS (draw about 80-100Watts idle). Together they pull about 350-370 at idle. Eventually, I plan to replace the 8800GTX Ultra with a ATI 3450...this will lower power draw about 110Watts aprox or more. I decided to put this system on an old swivel tv stand that I had been hanging onto for some reason. I figure this will come in handy if I ever need to get in behind this unit (it is heavy). BeyondTV HD Recording Computer. This is a pretty basis and simply computer overall. Sits on middle shelf unit. It is also plugged into the UPS. Not a whole lot on this unit. It resulted because of and for the HDPVR. I had originally tried the HDPVR with the SD System, but quickly ran into things that I didn't like. First the HDPVR wasn't very reliable overall (crashing). Second due to the way BTV works...I was never guaranteed HD showings would be recorded (chosen over) SD shows. Not to mention... the wife approval factor quickly fell to a Grumpy Gus, when her shows were unwatchable. I have to say I am pleasantly surprised at how well this works out. HD shows get recorded but if a show should happen to get messed up (somehow), I have a back up recording in SD format. Not to mention the HDPVR is performing much better overall within it's own computer setting. Sometimes the HDPVR (not the computer) has had to be restarted, by BTV...it always recovers to continue the recording it was on (in 2 parts though). Eventually I would like to see this merge into the SD computer and save some watts...but until then. 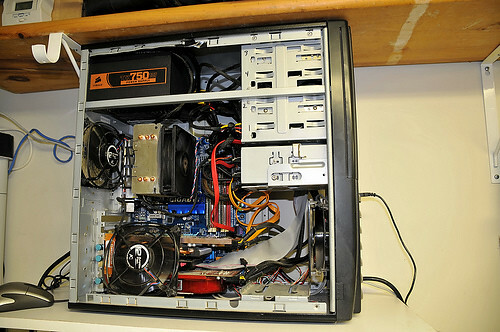 The HD computer also stores all HD media on the Raid 10. Why a pci video card....I don't have a spare PCI-E kicking around =). I may just leave it with this card, it does the job. I wasn't sure about entering the Gaming Rig...but wth eh? 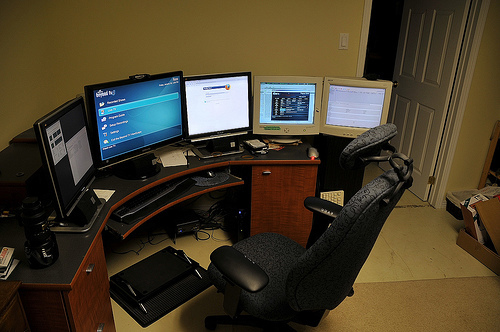 All three computers are controlled from here, using only one keyboard and one mouse. 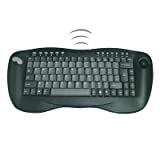 I use a program called multiplicity, that allows you to control the keyboard and mouse over the network. 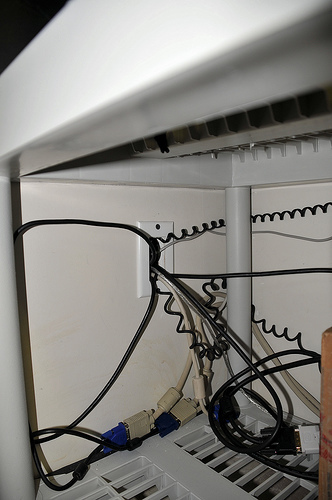 Here is a view of monitors relative to where the computers are (thank goodness for extension cables). One CRT has been replaced with a lcd. Speaker does not seem to bother the CRT that is on it. 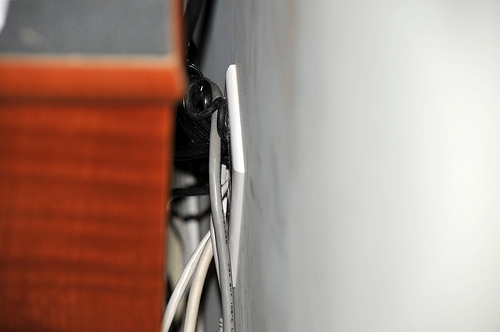 Cables all pass through the wall, behind desk. I had them going around the door (ugly mess). So I said screw it and cut a hole in the wall. Still kind of a mess...but I don't have to look at it now. The Link system - This is the unit that brings it all together. 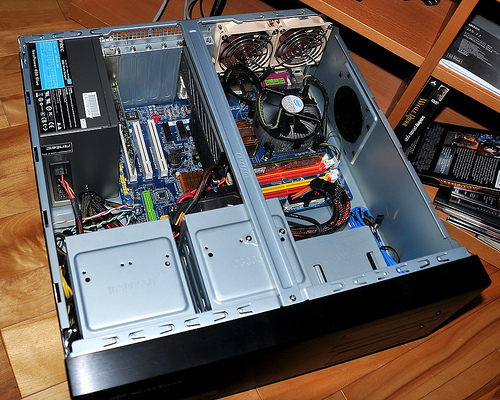 This is a slightly older picture before getting the SilverStone Lascala LC17-B Black HTPC Case. All is brought together in the main living room of the house with BTV Link and XBMC (replaced BM just 4 wks ago). My goal in the living room was to clean it up as much as possible...the wires, equipment, remotes and noise. Overall this computer is pretty basic..plays everything with no issues, HD, SD and downloads. BTV Link is great as it allows me to watch my SD recording and HD (I have HD folder shows mapped to BTV SD recording computer). Everything is controlled with 2 remotes a Snapstream Firefly RF Remote Control and the Yamaha YSP-4000 remote control. The only reason I have the Yamaha remote out is to use the My Beam feature (well....some of the other features when needed). But the main reason...the My Beam is awesome....I can watch my shows ..when I want and hear what is going on and not wake my wife up in the bedroom upstairs. It basically directs the beam to where you are sitting in the room and with night cinema feature (turns sub off). I can be watching stuff blow up and she still is in the zzzz's zone. I miss the sub a little bit and I can watch my shows without being told to turn it down. In the yr since I got this speaker..she has not once ever come out to ask me to turn it down please. Another reason I went with the sound bar was...the living room. There wasn't really any place to mount surround sound speakers, not to mention we bought...so wires running all over the place, would have drove myself and her crazy. The sound bar does a good job...I am happy with it. 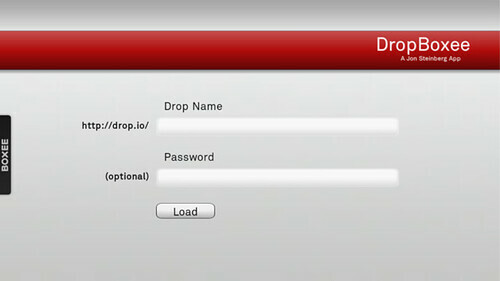 Files stream over a 1 GB network, all computers are on this network. You may notice a Satellite receiver in the top left shelf of the TV stand. This is a backup if BTV should ever go down....for my wife, in case I am not home. 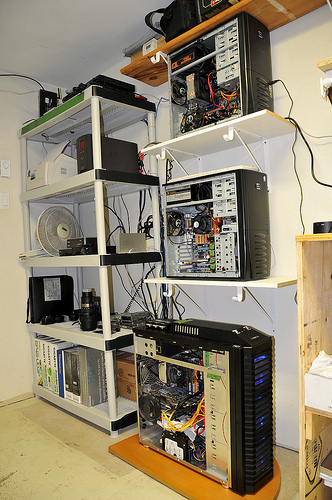 The DVD player on bottom left is now gone and is where the HTPC case sits. I finally found something that replaced my beloved Beyond Media...XBMC. Some example pics below. I finally went to XBMC when I found how to get it to turn on and off via the FireFly remote. Not third party software was needed to start XBMC with a push on my FireFly...boom XMBC on...red button - click ok to shutdown XBMC ...I was sold! Not to mention the Eye Candy alone! I can't think of anything else other than I ghost all systems after a fresh install and all programs I would use ...to their own 40GB Hard Drives as backups. I use Beyond TV Version 4.9.0(build 6073)...it works....so I am not going to fix it ;) .Unless some major changes come out from later versions of BTV. I know things are working well..when I hear my wife say....what do you mean your going to get rid of BTV/HTPC ! About Jamie (LionRed): I have lived in New Brunswick - Canada...for most of my life (and my wife and I currently live in NB now). 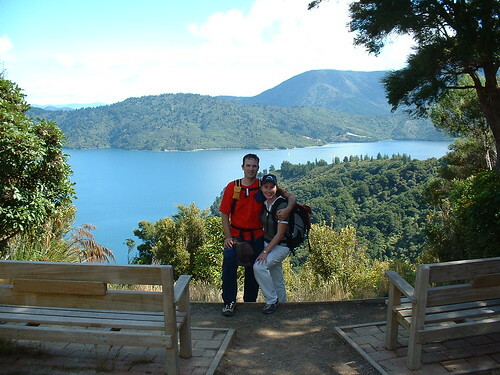 We have also lived in Wynyard - Saskatchewan, Canada for 3 yrs and lived in Dargaville, New Zealand for a yr in 2004-05.I have always enjoyed computers , eventually.... after messing them up so much had to learn how to fix and build them. Living in small towns for the last 8 yrs I have had to figure things out for myself with the help of forums/internet (not many people into computers in a town the size of 2500 people). Seems computers have finally reached where I thought they would be ..recording TV, watching tv..watching movies and picking what episode of a TV show you want to watch..when you want to watch it. I do go outside to play..hiking with my wife and enjoy what nature has to offer. Either way, join in on the GeekTonic flickr group and upload your media gadget photos!